Home/Academics/Degrees and Programs/Exercise and Health Sciences M.S. Exercise and Health Sciences M.S. Get ready to train the top athletes or contribute to the growing body of knowledge on sport science with University of Houston-Clear Lake’s Exercise and Health Sciences Master of Science program. Already recognized by the National Strength and Conditioning Association for the content and practicality of its sports science specialization, the program now offers a specialization in public health. At a university with a strong reputation in applied sport and rehabilitation research, you’ll be learning from highly trained professors committed to your success. During your time as a student, you’ll gain valuable knowledge and skills in state-of-the-art human performance laboratories in UH-Clear Lake’s newly constructed Recreation and Wellness Building. 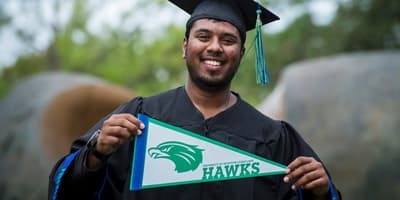 UHCL’s Exercise and Health Science program will help you advance your career in a variety of growing and stable industries. Our previous graduates have attained positions as sport scientists, strength and conditioning professionals, coaches or exercise fitness specialists at the highest levels achievable in the industry, including with the NBA, NFL, MLB, NCAA and NASA. Many graduates have taken advantage of their laboratory skills and practical training to work in research settings or to complete PhD’s in a variety of biomedical sciences. Additionally, the program’s public health specialization offers formal training in disease prevention, epidemiology, and health systems and policy. With an Exercise and Health Sciences Master of Science degree, you’ll gain the skills you need to become the kind of expert that employers are seeking to lead the ever-changing health care industry. 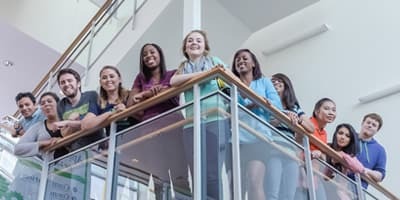 University of Houston-Clear Lake's College of Human Science and Humanities wants to help you reach your educational goals. 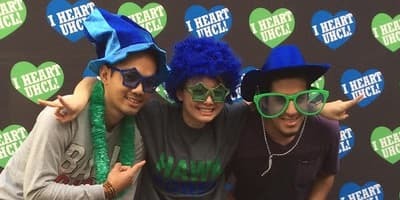 Discover the admissions requirements that will let you become the next UHCL Hawk. The National Strength and Conditioning Association officially recognizes University of Houston-Clear Lake's Exercise and Health Sciences Program.